There were mixed results for Bundesliga clubs on Friday as four sides shook off the cobwebs in their first warm-up matches ahead of the 2016/17 season. Bayer 04 Leverkusen had to settle for a draw in their first pre-season friendly, with coach Roger Schmidt's side held 1-1 away to SC Verl. A smattering of first team regulars started the game for Die Werkself, including Stefan Kießling, Julian Brandt and Lars Bender, but it was nevertheless the hosts who went in front from the penalty spot in the 86th minute. 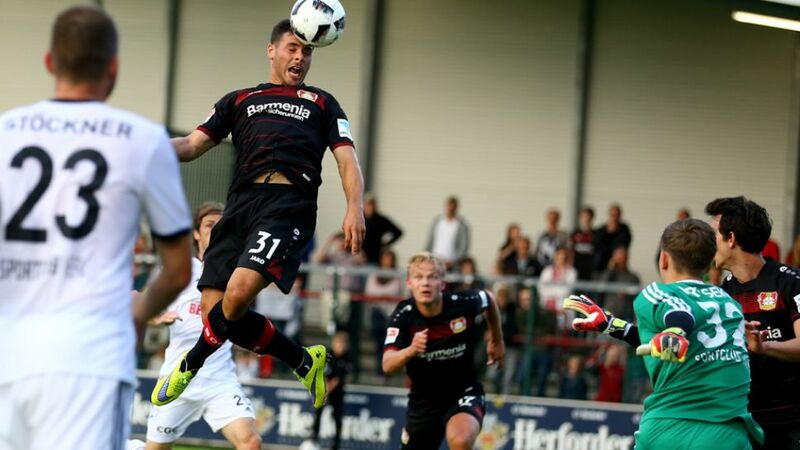 Leverkusen hit back three minutes later, however, forcing an own goal to salvage a draw. Despite fielding a strong starting XI including Raffael, Lars Stindl, Mahmoud Dahoud and Andreas Christensen, the Foals were unable to get the better of FC Zürich at the Uhrencup in Switzerland. After a goalless first half substitute Andre Hahn opened the scoring for Gladbach, only for his effort to be cancelled out almost instantly. Zürich went on to score a winner in the 82nd minute to seal the victory. HSV coach Bruno Labbadia was satisfied with his side's draw against fellow northerners Hansa Rostock, claiming: "It was a good test for us, Hansa pushed us." They had goalkeeper Rene Adler to thank for keeping a clean sheet, with the former Germany No1 pulling off a number of good saves to deny the hosts. "The game ends 0-0. You can always rely on Rene Adler!" SC Freiburg forward Florian Niederlechner scored a hat-trick as the south-western club, who won the Bundesliga 2 title last season, crushed regional league side SV Oberschopfheim 7-0. Pascal Stenzel, Maximilian Philipp, Karim Guede also hit the target, while the hosts also scored an own goal. "The game has finished, Freiburg win 7-0 in Oberschopfheim. Have a nice weekend!"